You are expecting a baby! Oh, the dreams and hopes and joy of it all. Congratulations from one British-American family to another. Each of us wants a bright future for our children, no matter how many ‘u-s’ we have in our words or ‘zeds’ that fall by the wayside. That is why I had tears in my eyes when I read the news that at an important function abroad you gave an official toast with water. The announcement that you both are going alcohol-free throughout this pregnancy literally stopped me in my tracks. I suspect my grin could have been seen from outer space that day. Parenthood changes us. We protect our kids and do the best we can for them. With one simple choice you both have shown leadership of the kind that can transform lives, change tomorrows. I wanted to share my deep respect and appreciation. You see, I know what it’s like to parent a child who was exposed to alcohol in utero. I have seen a young toddler unable to process the sights and sounds of daily life, looked into the eyes of a distressed young one whose brain can’t handle too much input without kicking into the fight and flight mode. I have literally held with a mamma-bear hug a dysregulated child who was lashing out in distress – while neither he nor I could understand why. I’ve been in the schools, working with teachers who were frustrated that he couldn’t focus, sit still, remember. I’ve spent hundreds if not thousands of hours in waiting rooms, doctors’ offices, talking with therapists, trying to understand why he has trouble eating, why some bones are fused together, why he can’t grasp abstract concepts. Gathering diagnosis after diagnosis until at the age of 10 we finally learned our adopted child has a Foetal Alcohol Spectrum Disorder. I will never forget that moment when it hit me. This sweet, musically talented and physically precocious young child has organic brain damage. “He will need support for the rest of his life,” the doctor said to us that day. We are older parents. Those words struck us with fear. I wish you could know the sweet sounds of my son’s laughter, watch him dance with abandon and flip on trampolines with great skill, see how his smile lights up a room. We all want the world to see our children shine. But I won’t sugar-coat it. There is great pain and frustration in his world. It’s better now that we have the diagnosis and we have been able to access appropriate schools and therapies, but he is vulnerable in a world that does not understand him, no matter how hard he tries. So we are using these teenage years to help him have the words and strategies he will need. Fingers crossed, so far he is one of the ‘lucky’ ones. The post-code lottery has worked in his favour. Too many people with FASD end up with secondary mental health problems – an area I know you care deeply about. Without diagnosis, appropriate support, alternative parenting strategies and the full weight of the resources this amazing NHS and educational system can provide, these young people fall through the cracks, families strain and sometimes break under pressures and the brilliant sparkle in our loved ones’ eyes becomes dull. Adults and young adults with FASD can end up homeless, addicted, in prison, sexually vulnerable, straining the resources of a system that could have been ahead of things sooner in their lives. But your actions, your leadership – oh, how transformative and welcome they are. It’s like FASD awareness has hit the stratosphere in recent weeks. The Deputy Chief Medical Officer Gina Radford convened the first ever government-led meeting with FASD stakeholders as part of an ongoing effort to see what Government can do. EastEnders featured a story line for its 7 million viewers about alcohol, pregnancy and the risk of FASD. The Children’s Minister Nadhim Zahawi, MP met with adopters and carers and discussed how FASD disproportionately affects children in those communities. There are people with lived experience, leading medical experts, FASD groups and MPs and peers who have been pushing these issues for years but perhaps now, maybe now this is a threshold moment for greater change. We hope you might help by encouraging joined-up thinking about how to tackle this public health crisis. 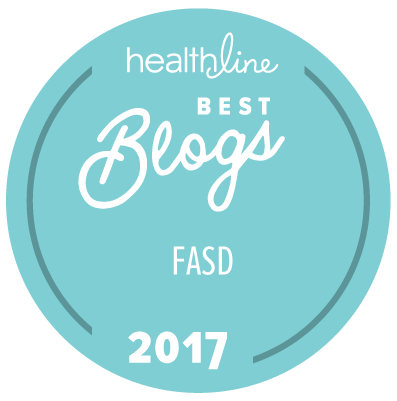 Perhaps it’s time for an FASD summit. We’ll be there, supporting progress in ways big and small. Statistically there are more people out there with FASD than autism. It’s a ‘hidden epidemic’. Because of stigma, lack of professional training and old-school thinking, most of them will be undiagnosed and will struggle unless our leaders change things. FASD is the missing piece of the puzzle that anyone who cares about child mental health and the success of special educational needs and disabilities reforms in our schools should be examining. FASD needs to be recognised as the neurodevelopmental disorder it is in order to open doors for access to services. By announcing both of you are abstaining from alcohol, you hit the mark perfectly. Partners play a huge role in supporting alcohol-free pregnancies. No alcohol, no risk. #049. Please consider taking this to the next level and help people understand why you have made this choice. You know the power that comes from recognising the courage of those fighting battles that others do not see. As you have done for others with disabilities and mental health challenges, you have validated and honoured our son’s struggles. Thank you. The entire FASD community is wishing you a healthy and happy pregnancy. Cheers! This post also appeared in the Huffington Post, 8 November 2018. Your letter is absolutely brilliant! Thanks! It’s incredibly important that there are groups across the UK who are providing local support. All good wishes to you all as your group continues to evolve – we work closely with some of the founders. Also check out the resources sections of this blog. Where’s Our Empathy for Those with FASD? When the Flu Isn’t Just the Flu – What Happens When an FASD Caregiver Can’t Cope? © FASDLearningWithHope.Wordpress.com, 2017. Unauthorized use and/or duplication of this material without express and written permission from this site’s author and/or owner is strictly prohibited. Excerpts and links may be used, provided that full and clear credit is given to FASDLearningWithHope with appropriate and specific direction to the original content.